seaweed brain!. . Wallpaper and background images in the The Heroes of Olympus club tagged: photo. 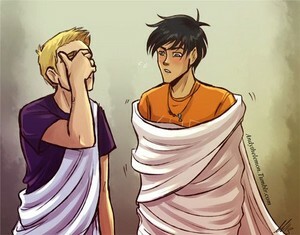 'snickers' that is so percy, but wheres annabeth?